Chelcia Gomese is the Gender Senior Research Analyst in Solomon Islands. Since joining WorldFish in 2017, her work has included linking gender with community-based resource management, livelihoods and nutrition. She has received a number of awards including for her creative writing, such as the Pacific Human Rights Award (2013) and first prize at the World Tuna Day Art and Talent Quest (2013). She has a Master of Environmental Studies from the Victoria University of Wellington, where her thesis looked at using traditional ecological knowledge for resilient food production. I’m organizing a Women in Fisheries panel discussion in Solomon Islands as part of the celebrations for International Women’s Day on 8 March. I’m also developing a research paper on capturing the value of women’s fisheries with the help of other WorldFish colleagues. 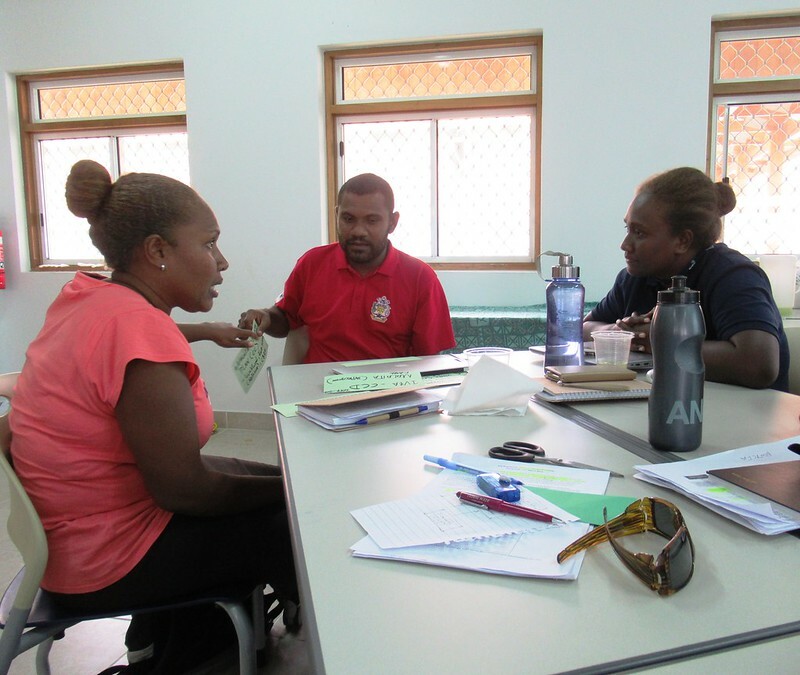 As part of my role, I also contribute substantially to national and global communications about WorldFish and FISH gender research and activities in Solomon Islands. You describe yourself as a creative person. How do you apply your creativity to your work? In lots of ways. For example, I am using photography in my research by leading a photovoice project. I believe that the use of visuals is very powerful in countries like Solomon Islands. We tend to collect a lot of data, but the way we present it to communities can be improved. In addition, I have created internal profiles for Solomon Islands staff as a way to increase our visibility as researchers, administrators and technical officers in the country. You've written an award-winning poem. Can you tell us more about that? What is your favorite part of the research process and why? I have two favorite parts: designing the study and presenting the findings. I love being able to come up with great ideas, and especially having that ‘aha’ moment. My last research idea came to me while I was in a meeting! I also enjoy giving back what I found out to the ‘keepers of the knowledge’. I believe that we, as researchers, sometimes forget the people who provided us with the information for our research. What do you hope your gender research achieves? I hope it will raise the profile of women in fisheries and give them a voice in a way they’ve never had before and, in turn, contribute to influencing policy. For example, I was part of the core team that produced the Gender analysis of the fisheries sector – Solomon Islands, which was coordinated by WorldFish for the Pacific Community. This research provides critical insights into women’s and men’s role in the fishery sector and supports strengthening of government, central and subnational institutions. Her skin and her hair, Melanesian black.